A lot of fans over the years have asked me about my astrological star sign, but I never responded. I kind of thought astrology was stupid. I mean, I’m a scientist. With a degree in biochemistry and advanced real-world experience with genetic engineering. Astrology seemed like hooey. But then Lynsey G, the writer who’s making a graphic novel about me, wrote this piece on Luna Luna about What’s Your Labyrinth Zodiac Sign? And I love Labyrinth! So I read it and that took me down this long, long path, learning about astrology. I basically did nothing for the past few days except learn allllll about myself and like HOLY CRAP YOU GUYS it’s so so so true! 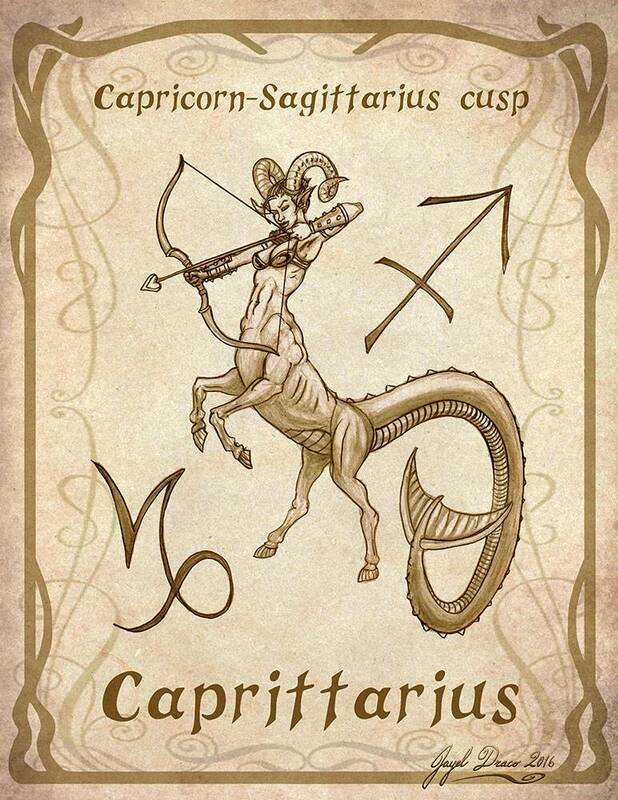 So my birthday is December 19, so I’m a Sagittarius-Capricorn cusp (sun sign) with a Gemini moon and Scorpio rising. (Also I’m a Tiger according to the Chinese Zodiac and Elder Tree in Celtic Tree Zodiac, in case you were wondering.) But the main thing is, I’m a Sag-Cap cusp–or, as I like to call it, a Sapricorn! Or a Caprittarius! Ooh, not sure which I like better. The fact that I’m curious, witty, and charming, but also prone to moodiness and emotional vapidity is because I’m a Gemini rising. Go figure! Hah! Annnnd I’m basically a force to be reckoned with in everything I do, thanks to my Scoprio rising. So basically I’m SO glad I started looking into astrology because I feel SO GOOD about this! Like, I know myself better now, lol! Anyway, my friend Jayel Draco (who’s illustrating the graphic novel about me, hehehe) made me this GORGEOUS illustration of myself as a Sapricorn/Caprittarius!